New Markets. Expanding into Wide Format. Wide format printing capabilities enable print providers to expand service offerings with a limited investment. These devices allow for a range of applications from banners to point of purchase (POP) displays. Depending on a printing businesses’ existing operations and clientele, a variety of solutions are available. Above: Sesco-DSS of Fredericksburg, VA created real estate signage for Coldwell Banker Elite. The signs were produced with Palight Trimboard and printed on a Canon OceArizona 365 GT. Established in 1971 in Fredericksburg, VA, Sesco-DSS started as a surveying and drafting equipment retailer. It offered supplies like drafting tables, grid sheets, and prism poles to industrial markets for construction and engineering. In the 1980s, local demands for printing influenced the company to purchase its first printer from Océ and enter into reprography. With the addition of printing devices, it started offering blueprints and CAD drawings. Today, it is provides surveying, drafting, design, construction, and wide format printing. With three locations in VA, Sesco-DSS maintains a close-knit group of 11 employees and produces over 500,000 square feet of print annually. The print provider’s mission is to enhance the success of customers by providing quality products, extraordinary service, and a skilled, knowledgeable staff. Its services include large document copying, construction supplies, field equipment, drafting supplies, surveying supplies, and small and large format color printing. At one point, Sesco-DSS produced $300,000 in blueprinting sales per month. While that number has decreased, the company still produces a monthly blueprinting average of 250,000 square feet. It primarily serves its local area but has also sold equipment and services around the U.S.
Over the years, the print provider added several new printers including digital devices like the Canon Océ ColorWave 600 and Canon Océ TDS860, as well as several of the Xerox 7500 models ,for high-quality color posters and basic banners. The Océ TDS860 is often paired with bond paper, Mylar, and Océ E1 toner while the ColorWave 600 runs Tyvek, heavy weight bond paper, and Océ ColorWave Toner Pearls. The company uses a variety of software including Adobe Illustrator to design textual based images, Adobe Photoshop for advanced jobs, and ONYX RIP. Degen proceeded cautiously with her search until settling on wide format with a vision of producing simple building plans and similar renderings. “I didn’t want to throw myself into something completely out of our vision as a wide format printing company,” she shares. 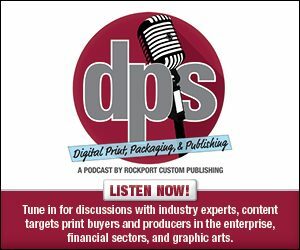 The print provider toyed with producing smaller, promotional-type products, but ultimately decided it would be difficult to compete. As blueprinting and CAD drawing sales began to decline, Sesco-DSS was determined to adapt. The Arizona 365 GT combines a flatbed printer design with an optional separate, dedicated roll-to-roll capability. Print speeds reach up to 377 square feet per hour with a maximum print width of 86.2 inches. With its wide format press, the company often uses Palight Trimboard products from Palram, scrim matte banner, peel off canvas, foam board, and Arizona 265 ink. Initially, Sesco-DSS thought it would sell a lot of window cling products with its new, digital wide format printing capabilities. “We have had some success in that area, but the large site construction signs have been the real success market for us,” shares Degen. The company currently produces a large amount of commercial real estate signs and banners for local real estate companies. To keep up with demand, it hired three employees since purchasing the Arizona 365 GT. As a print provider that expanded into wide format, the biggest benefit for Sesco-DSS is that it already has an established set of base customers, some for over 30 years. “We established real relationships with these individuals and therefore, are able to sit down and talk about our new offerings,” comments Degen. Many of the company’s initial large format sales came from of its existing customer base. With its wide format offering, Sesco-DSS primarily serves architects, engineers, construction, and real estate industries. In May 2018, 25 percent of sales came from its new Arizona 365 GT. In May 2018, repeat customer Coldwell Banker Elite approached Sesco-DSS for real estate signage. The client requested two large signs to attract the attention of potential clients without being too visually busy. For this job, Sesco-DSS produced two 4×8 foot V-shaped signs using Palight Trimboard. “The product is extremely durable as it has a lifetime warranty of 25 years,” comments Degen. Palight Trimboard is available in a variety of thicknesses and widths including finishes in white, sand, and clay. The real estate signs were designed to meet the client’s specific needs including a custom logo and the preferred Coldwell Banker blue. No finishing was required. “Luckily, our printer has amazing curing properties, so we don’t need to add any additional finishing to the product. Once printed, it was ready to be installed,” shares Degen. The signs were installed in a V-shaped pattern using white painted sign posts. During installation, the print provider experienced challenges due to the weight of the board. “These boards can be very heavy to lift and even more difficult to handle with wind,” offers Degen. From job submittal to installation, it took Sesco-DSS five days to complete the real estate signage. Overall, it was a relatively large job for the print provider. The printer is at capacity when handling boards of 4×8 feet. Coldwell Banker was satisfied with Sesco-DSS’ quick turnaround and the product’s rigidity. In the past, the client’s previous print provider printed on vinyl then laid the vinyl on an MDO board, which resulted in peeling. “Because we print straight onto the substrate there are no more peeling issues,” says Degen.